Director Andrew Leavold went on a search for the real story behind Weng Weng, who is listed as the shortest leading man in movie history (2 foot 9 inches). The obsession was born as the result of director Andrew Leavold seeing For Your Height Only, a film where Weng Weng played a smaller version of James Bond. The search lasted 7 years (though at another point Leavold mentions looking for someone for ten years) and turned up things that no one expected to find. Weng Weng was the product of the film industry in the Philippines in the late 1970's and 80's. During the peak years the industry was turning out over 300 films a year. 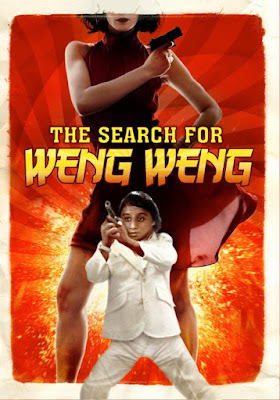 Films came and went and Weng Weng worked for a small independent producer with the result that when the heyday was over he and his films faded into obscurity-except for the few that escaped the country, with the result that most people int the Philipines don't know who he was. He came and went despite becoming an international celebrity of sorts. This is a great film. While on some level the film would seem to appeal only to those with in an interest in weird B-films, in reality a great deal more.Yes the life and times of Weng Weng are a blast and the search to find out about him is compelling but there is so much more here. Apocalypse Now making the film a viable place to shoot a movie cheaply. It also acts as a kind of memorial to an industry where 80% of it's output has turned to vinegar or landfill. Think of the film as a perfect companion to Machete Maidens Unleashed since it takes a look at things from a personal level. A must see for any film lover who truly loves film.